On Thursday 6th August 1891 a young woman in her early twenties described as being pretty, well-dressed, about 5ft 4ins with reddish brown hair, and a plump round figure, boarded the Midland night train from Leeds to London. She sat in the first-class compartment, but when the train reached Bedford station soon after four o’clock the next morning the guard, Francis Irish, found her in a panicked state with a gunshot wound in her left breast. He sent for the nearest doctor and called a porter and a guard to help him take her to the waiting room to be given aid. She was then moved to the Bedford Infirmary and placed under the care of the House Surgeon Mr. E. Colby Sharpin. There were problems finding the young woman’s full name. From her belongings, her initials revealed “L. M”. It was at first thought, because it was stated by the young woman, that her surname was Marie or Thryer. She was wearing a wedding ring, but it was unclear whether she was married or not. It came to light that she was known at several times and places by different names, although it was found later that Mitchell was the surname by which she was known. She had friends on the Continent and in New York. She was known in Leeds and London. However, she refused to talk of her background. When questioned, Miss Mitchell said that after the train had left Leicester a man of about 30 years of age with a moustache appeared at the open window of the first-class compartment in which she travelled and fired a revolver, shooting her in the left breast. Two men who had boarded the train at Leicester were in a compartment of the same carriage. They said that they had heard nothing unusual on the journey from Leicester to Bedford. This was confirmed by the passengers in another compartment of the same carriage. News of Miss Mitchell was telegraphed to London and by news agencies. It was sent all over the Country and especially Leeds, as the first-class ticket which she had travelled with was from Leeds to London. As soon as the news reached Leeds the incident drew the attention of a Yorkshire officer of the Durham Light Infantry. He was said to have been good looking, fresh-coloured, and wavy-haired. He set off for Bedford to meet Mr H Thody, Bedford’s Chief Constable and together they went to the Infirmary. He recognised the young woman as Leonora Mitchell. He said that she was a 20-year-old American actress of French origin and that she had lived for some time in England and she was a widow. He said that there had been no quarrel between them and he had no knowledge of her having a gun. He stayed in Bedford and went to see her most days. In the first few days there was a slight hope that Leonora might get better. She was in great pain, but she was very alert which surprised Mr. Sharpin and the medical staff. It was decided not to make any more attempts to remove the bullet as it would prove fatal. Doctors were concerned when she told them that she wanted to die and refused food. She died on Thursday 27th August 1891, 21 days after being found wounded on the train at Bedford station. The results of the post mortem found the bullet had embedded close to the spine, and the cause of death was blood poisoning. Mr. Sharpin said the pistol was most likely pressed tight against her chest from the appearance of the clothing. At the inquest held at the Bedford Infirmary, Dr Prior, the Borough Coroner, stated that the full name of the deceased was Leonora Mitchell. The first witness was 39-year-old Elizabeth Howlett, a widow. At first, she refused to give an address as she did not want it made known to the newspapers that it was a men’s lodging house and she believed that making known the address would harm her. When pressed she gave her address as 5 Bennett Street, St. James’s Street, Piccadilly, London. She said that Leonora came to her house with her husband from 55 New Bond Street. She went by the name of Leonora Mitchell. They came with a valet and lived in her house for six or eight weeks. She did not work while staying in her house. The man said to be Leonora’s husband took the room. She thought Leonora looked to be about 25 or 26 years of age. She did not know what work she did before she came to her house. Leonora looked in good health up to the time she left. At times she drank as much as a bottle of brandy a day, with sodas, sent in cases by Mr. Mitchell. He was a wine merchant in Leadenhall Street. She was so used to drinking that the effect was not very noticeable, not once did she see her drunk. Elizabeth did complain to Mr. Mitchell against too much drinking going on in her house. She found a pipe in Leonora’s room, but did not know at the time the use of it. She also found little pots which were used in opium-smoking. 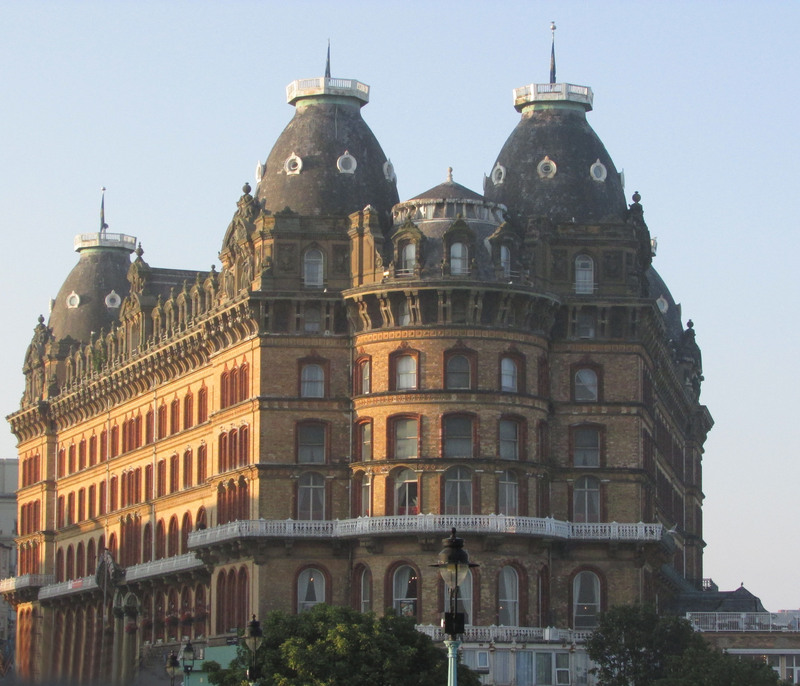 In the last week of June, Leonora left the boarding house to go to the Grand Hotel, Scarborough, where she joined Mr. Mitchell. While she was there she sent a letter to Elizabeth about an unpaid bill. Dr. Prior read the letter and said that it was the writing of an educated person. 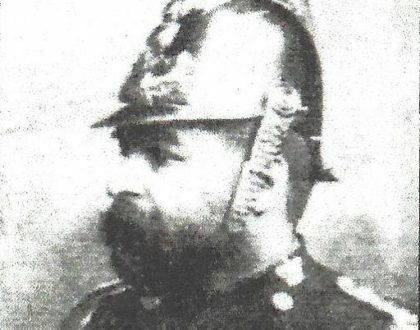 Mr. H. Thody, Bedford’s Chief Constable, questioned Elizabeth. She told him that when Leonora left she took with her one large American trunk, a small American trunk, and a bag. All were marked with the initials L. M., and she had a good wardrobe. At one time she attempted suicide by drowning and was rescued by a man. But she used to tell stories and was given to romancing. She had everything to make her happy and was not depressed. Elizabeth never saw her with a gun. The jury asked Elizabeth if the man claiming to be Leonora’s husband was, in truth, called Mitchell. At first, she refused to tell them, saying that it was too bad to give the name of a business man. Being pressed, she said his real name was Lardner, and not Mitchell. She went on to say that she could not ask every man who came to her house if the woman was a mistress or a wife or demand to see their marriage certificate. The next witness, Samuel Wicks, said he was the guard on the train from Leeds to Derby. On Thursday 6th August he saw Leonora and a man sat in a first-class carriage. The man travelled as far as Sheffield with her. Both were in good health and spirits, and on affectionate terms. The man did not have a ticket from Leeds to Sheffield but paid on arriving at Sheffield. He then took a later train back to Leeds, after wishing the lady good night. She had the compartment to herself. When the train arrived at Derby Samuel Wicks asked the London guard, Francis Irish, to keep an eye on Leonora as the man who had left the train at Sheffield had asked him to make sure she was all right. Francis Irish told the jury that Leonora sent for refreshments at Derby and bought a small bottle of spirits. He said he spoke to her and she seemed quite calm and cheerful. As the train ran through Leicester she was seen eating and drinking. He opened the carriage door to ask her if she was all right, she answered “Yes thank you guard.” When the train arrived at Bedford he left his guard’s van in the middle of the train and walked to the front and caught sight of Leonora at the window in an excited state and moaning loudly. He went into the carriage and saw there was blood coming from her left breast. He asked her what she had been doing, and she said someone had shot her through the window. He replied, “It’s nonsense, tell me the truth,” but she would not answer further questions. In the carriage Francis Irish found Leonora’s umbrella, hat and a pair of stays. He made a further search when the train arrived at London and found a pair of stockings, handkerchief, and veil. Leonora had no luggage with her other than her handbag. On Saturday 8th August a platelayer, Henry Goodman, found a revolver on the bank as he was working on the railway line, half a mile north of Desborough, Northamptonshire. It was a six chambered revolver, with three cartridges discharged, the other three were loaded. On Tuesday 11th August Leonora made the following declaration to Mr Colby Sharpin, the House Surgeon at Bedford Infirmary : “I, Leonora Mitchell, declare the pistol wound from which I am suffering is the act of my own hand. That I purchased the pistol in Scarborough, that I fired one shot, that I placed the pistol next to my heart, but I had no particular reason for so doing.” This statement was signed by Leonora Mitchell, Mr. Sharpin, and another person. She confessed she had hidden the revolver in her stocking. The Landlady, Elizabeth Howlett recognised the revolver as being the same one she had seen in Leonora’s possession when she lodged with her in London. Chief Constable Thody inspected the carriage in which Leonora travelled and found a second bullet. He said it could not have reached the location in which he found it had it been fired from outside. Both the windows of the carriage were open. The footboard of the carriages was not continuous for a person to walk end to end. Chief Constable Thody had received 14 or 15 letters from people whose daughters had gone missing, but the description did not match in any of these cases. He suggested that the body should be photographed in order that they might find out who she was. The man called Mr. Mitchell had visited the Infirmary. He said they had been together for maybe six months. Several of the jury asked to see the declaration made by Leonora to Mr Sharpin. He was reluctant to show it to the jury, but the Coroner said the jury must see it. The paper was passed around and the bottom part was turned over to hide the signature of the other person. They insisted upon seeing the signature, and they made it out to be that of a Captain W. M. Menzies. Captain Menzies and Mr Mitchell, (or Lardner), were not asked to give evidence. It was claimed every effort was made to withhold the name of the Captain who was with Leonora during part of her railway journey. The jury were in doubt of the real identity and name of the deceased young woman. Some newspapers gave details that she was aged 25 or 35 years as well as being a good horsewoman and that her parents were living on the Continent. 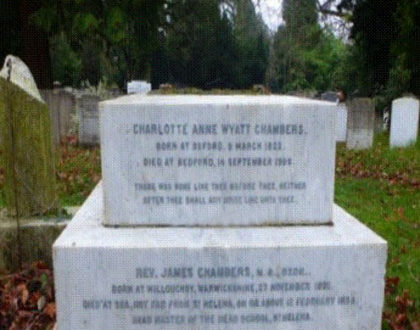 Elizabeth Howlett was recalled and stated that the name of the deceased was without doubt, Mitchell; that she had been born in Kentucky, U.S.A.; both her parents were dead and she had no relatives. The Coroner, Dr Prior, summed up that Leonora was not of sound mind. What the circumstances of her life had been they did not know, but they had it in evidence that she was a drinking woman, and he was afraid she was a woman of very loose conduct. Whether it was remorse, drink, or a mixture of these, he thought the jury could fairly conclude that she committed suicide whilst of unsound mind. Leonora’s funeral was conducted by Rev. 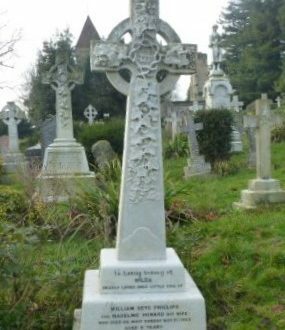 F. W. Piercy, Curate of St. Mary’s Church, on the 31st August 1891 at Bedford Cemetery. There were no friends present. 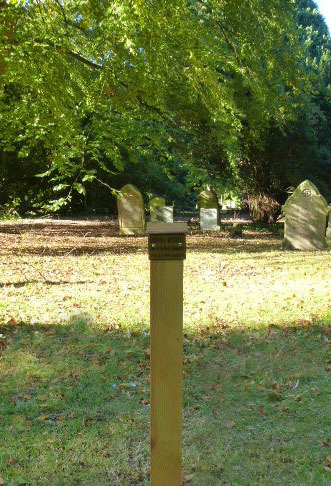 The original wooden cross has long gone, and a new marker has now been put in place. The Luton Reporter and Beds and Herts News, Saturday 5th September 1891. The North Eastern Daily Gazette, August 28th -29th 1891. The Yorkshire Post, Monday August 10th, 1891. North Eastern Daily Gazette, Tuesday August 11th, 1891. Northern Daily Mail, Tuesday August 11th, 1891. The North Eastern Daily Gazette, Friday August 28th. Photograph of the Grand Hotel, Scarborough, courtesy of Colin Woolf.